My level of obsession with the first outfit is very high! 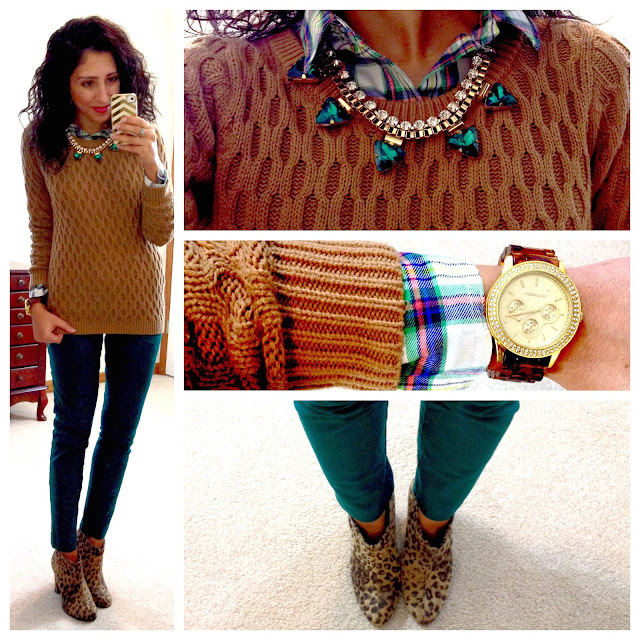 I wish I could layer like this but some of the rooms where I work are a thousand degrees! love love love love love! you always look SO amazing! Your style is amazing. Love all the looks. Everything works! Hi I love your outfits! They give me great ideas to put together mine for work also. Who do you purchase your accessory pieces from on eBay? I really like them and sometimes don't know who to purchase from on there. Thanks! I love these, Yasi! 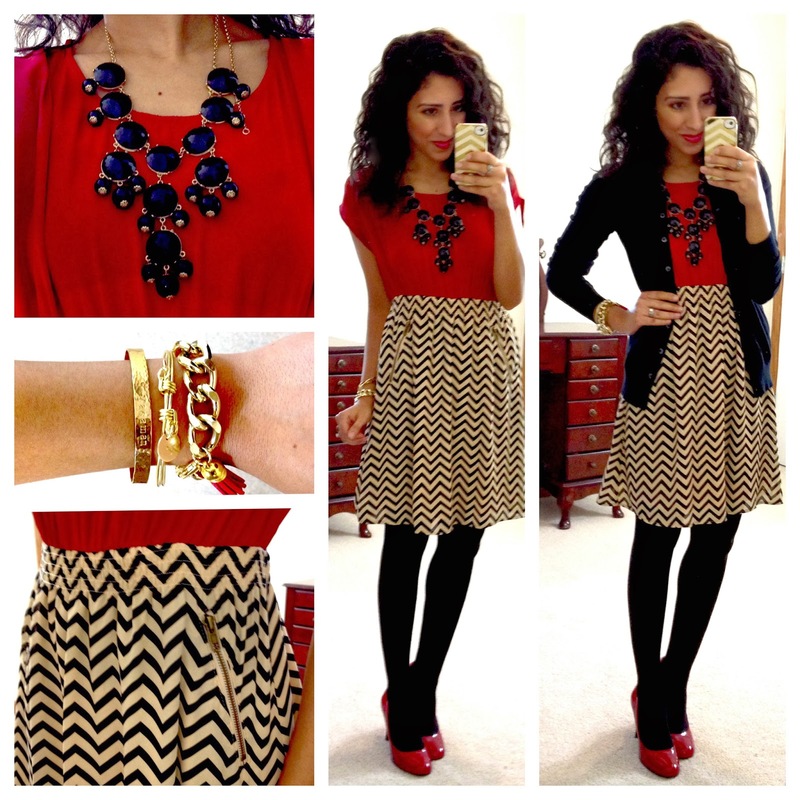 The reds look really seasonal and festive, and you did a GREAT job pairing the jewelry to the outfit! Love the looks! Those Target Black Ankle Boots are on my wish list! I love mixing things that don't seem like that belong together! I love the first one! Perfect amount of comfortable, chic, and sparkle! I noticed you get quite a few of your jewelry pieces from eBay. Any tips you could give on where to look for them/how to know what is worth buying? The first outfit is totally my fav! 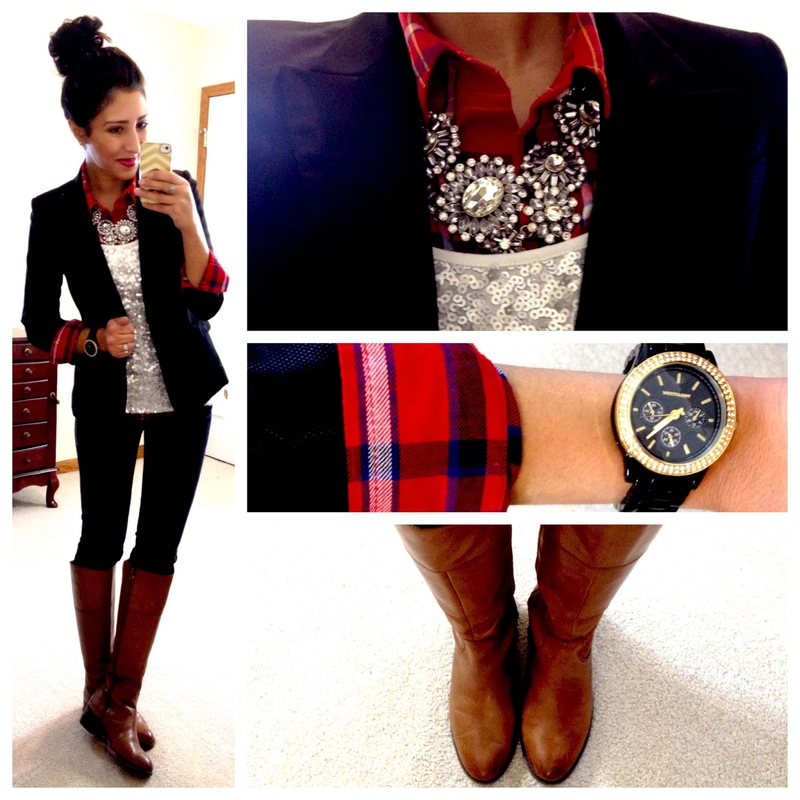 Love the plaid and sequins contrast. 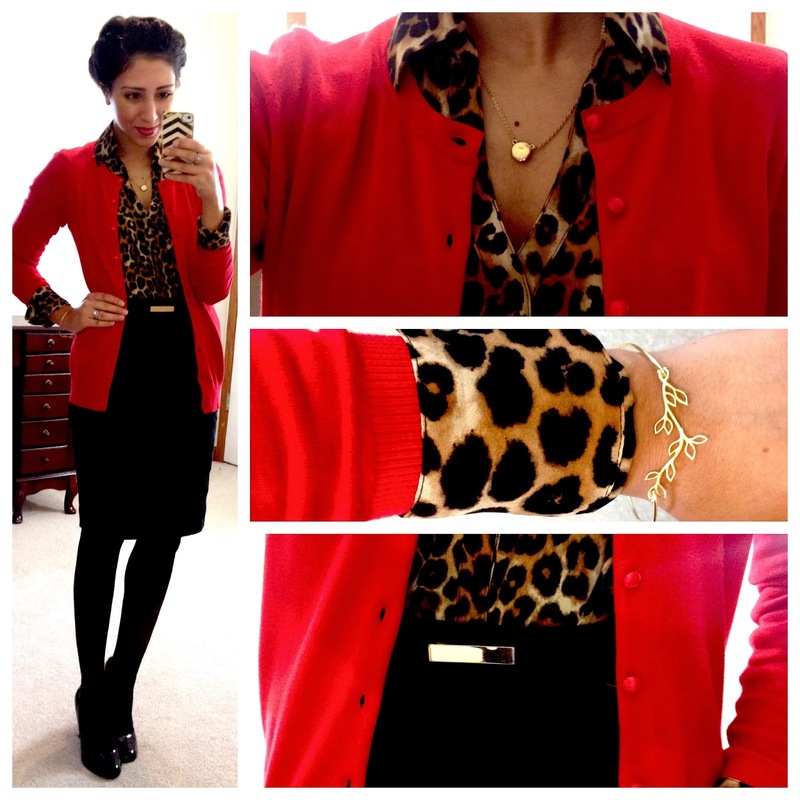 I love the leopard with red! Great combo! The first look is my favorite. Love all the pieces separately and together. Great styling.